Photos taken during the “golden hour” (about 20 min before/after sunrise/sunset) can provide the perfect lighting for photography. 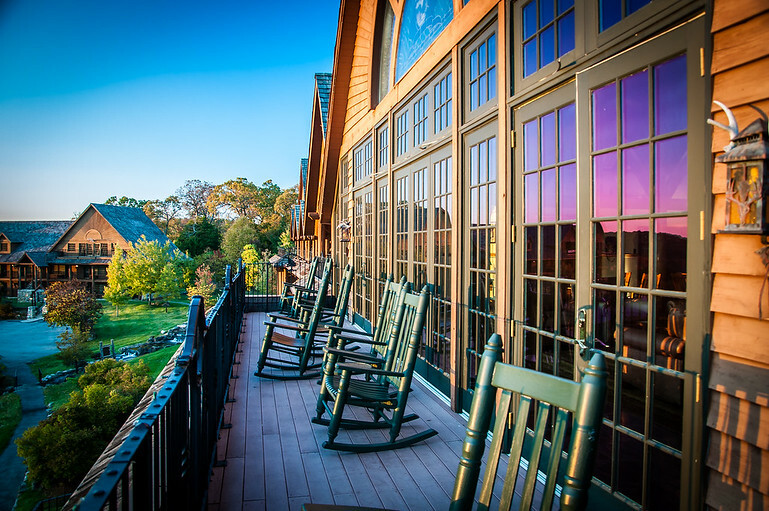 This deck at Big Cedar Lodge, near Branson, MO, reflects sunlight a few minutes after sunset. Photo taken with a Nikon D90 and a Nikon 18 – 105mm lens. Settings: f5, 18mm, 1/30th second, ISO 500.